To my knowledge there are three main photography orientated books which document British alternative/counter cultural outdoor festivals from the 1960s to 1980s: Jeremy Sandford and Ron Reid’s Tomorrow’s People (1974), Richard Barnes’ The Sun in the East – Norfolk & Suffolk Fairs (1983) and Sam Knee’s Memory of a Free Festival – The Golden Era of the British Underground Festival Scene (2017). These books document and capture a time when festivals weren’t an accepted mainstream and/or commercial orientated activity. 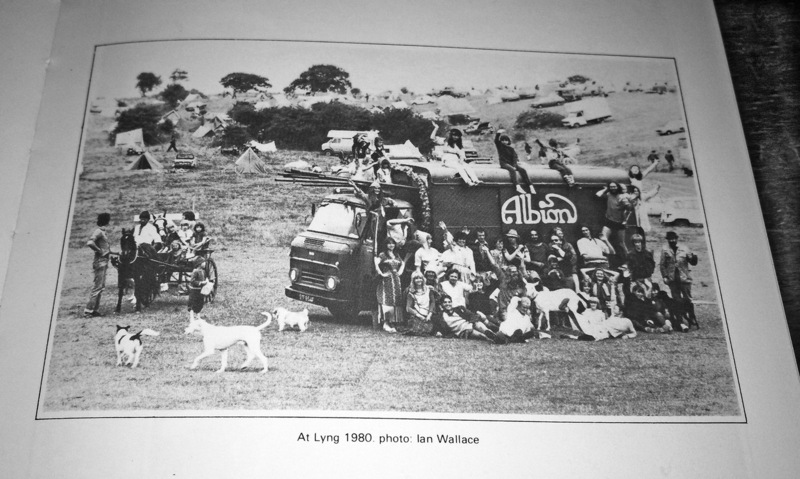 Tomorrow’s People, which I have written about previously at A Year In The Country, focuses on the 1960s and 1970s, a time when in part festivals were an experiment in alternative ways of living and thinking, often inspired by hippie, new age, utopian and later anti-authoritarian ideals and sometimes took place without charging an entrance fee – they could be seen as part of an attempt to create short-lived temporary autonomous zones where such experiments and ideals could take place and flourish. Although the above ideals and beliefs were part of festivals around this time and may well have been believed fervently and/or wholeheartedly by some of the organisers and participants, to a degree such aspects could be seen as ancillary or possibly more in part a reflection of the interest in and adoption of then fashionable beliefs and associated aesthetics and mindsets. Such beliefs may have been part of the impetus that lead to such festivals creations but looking through these books, what really strikes me is that these were gathering spaces for younger folk to let their hair down, party, indulge in a brewed/distilled or otherwise manufactured intoxicant, watch a band or two and so on – places outdoors for people to have fun basically. For myself these books are strongest when they are documenting the festival attendees rather than the “known” bands on stage. When they turn their gaze away from the main stages and onto the general public they seem to capture more of a sense of time and place, of a world and events that although a part of relatively recent history now seem quite far away from our own times. 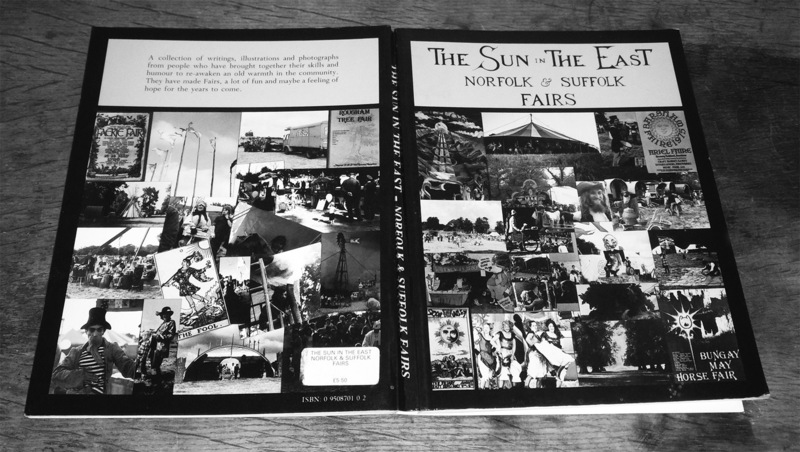 Along which lines Richard Barnes’ The Sun in the East book focuses quite specifically on a set of smaller scale fairs or festivals including the Barsham Faires and Albion Fairs, which took place in a particular area of Britain between 1972-1982. 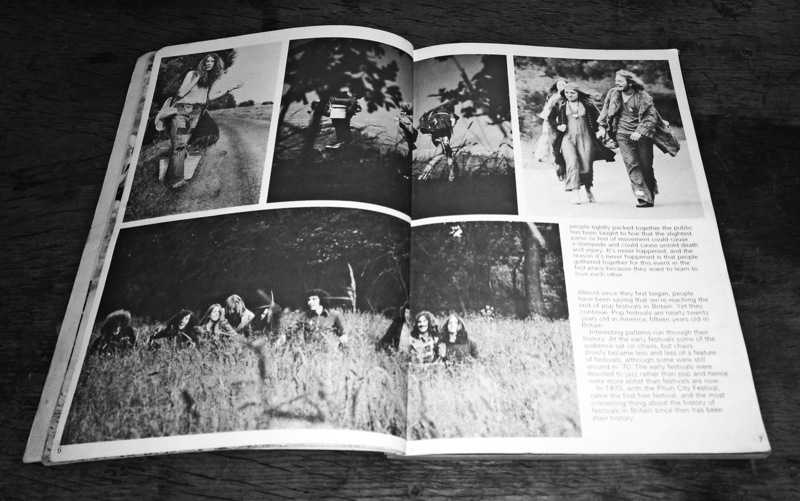 The book brings together his and other’s photographs alongside articles, fliers and posters, cartoons, interviews, reflections and memories on the festivals etc. 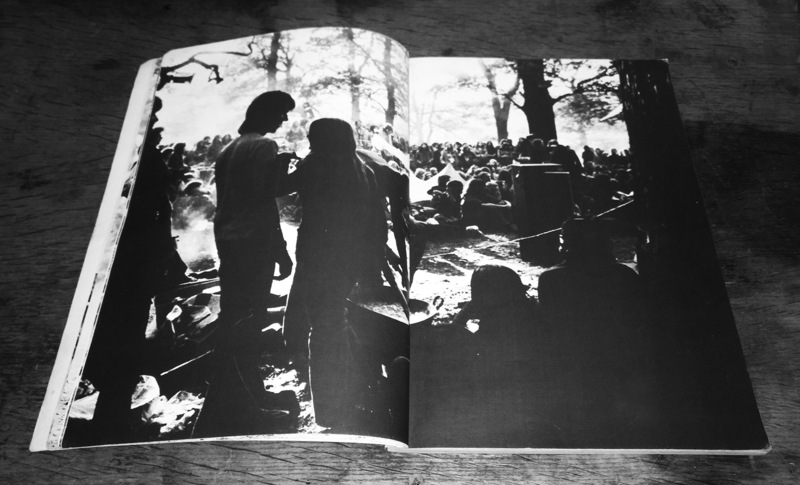 Although professionally bound and produced this book has an intimate, almost small press or fanzine layout and atmosphere – something which may in part reflect both the smaller scale, home grown nature of the festivals alongside Richard Barnes’ own connection to and enthusiasm for the festivals, of which he was variously involved as an attendee, photographer, vendor and helped prepare the festival sites by literally digging a trench or two. 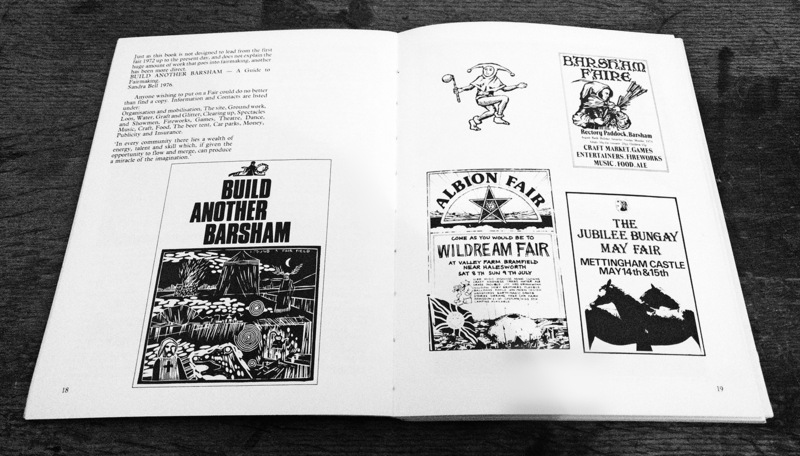 It captures a very particular time in British culture, when latter period hippie culture intermingled with medieval aesthetics (some of the fairs were medieval themed) and although not overtly expressed within the book it documents such culture’s move towards a form of proto-new age traveller/crustie culture and even here and there an interrelated anarcho-punk scene.